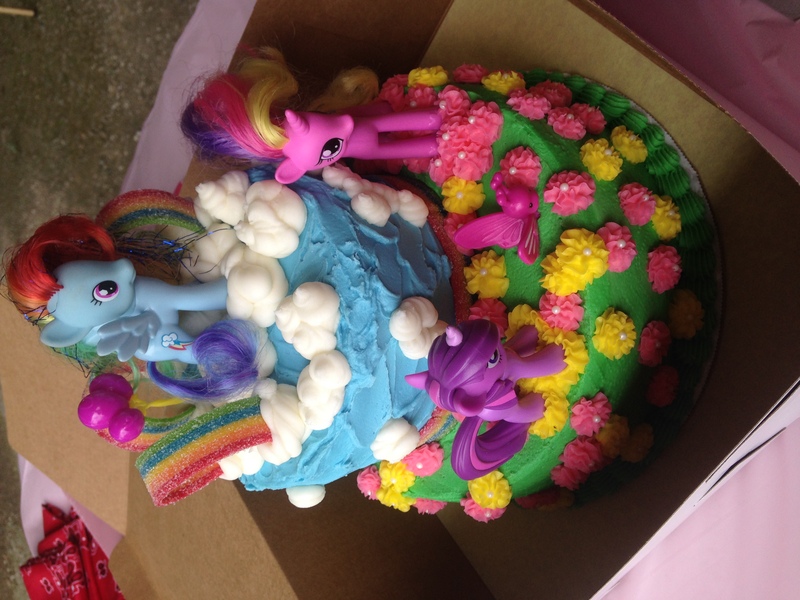 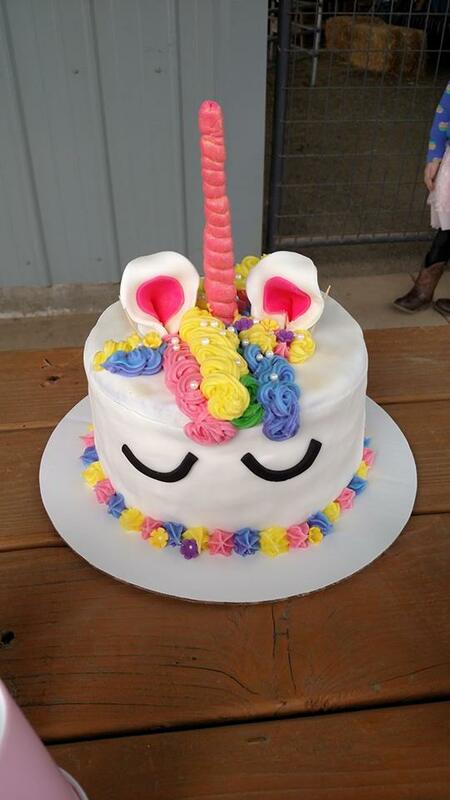 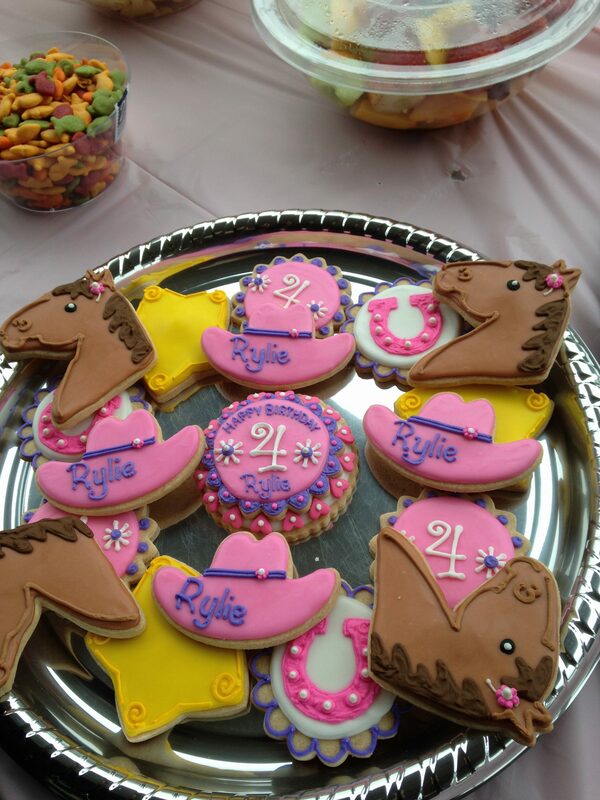 After 7 years of pony parties, we have seen a whole variety of cakes & cupcakes here at the ranch. 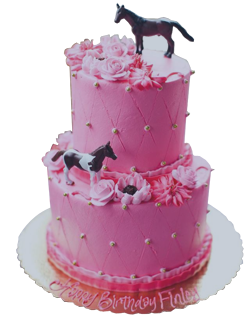 Families have brought everything from homemade cakes, store bought to custom cakes that could compete with the extraordinary detail in a Wedding Cake. Watching the children, the cakes that seem to bring the biggest smiles are the ones they have some personal connection whether that be helping make it or picking out the small little pony at the top. Watching the adults, the biggest reactions always come for the creative nature of cake. 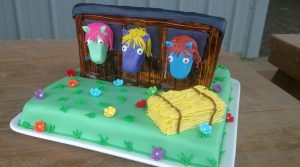 The cake below with the 3 ponies in the stable was just absolutely precious with amazing details. 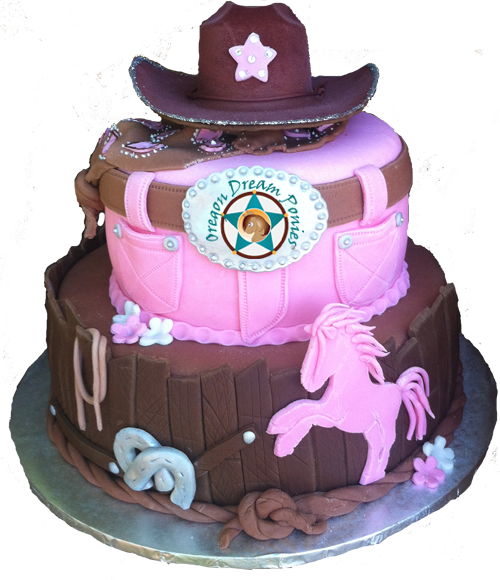 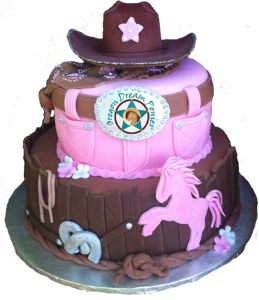 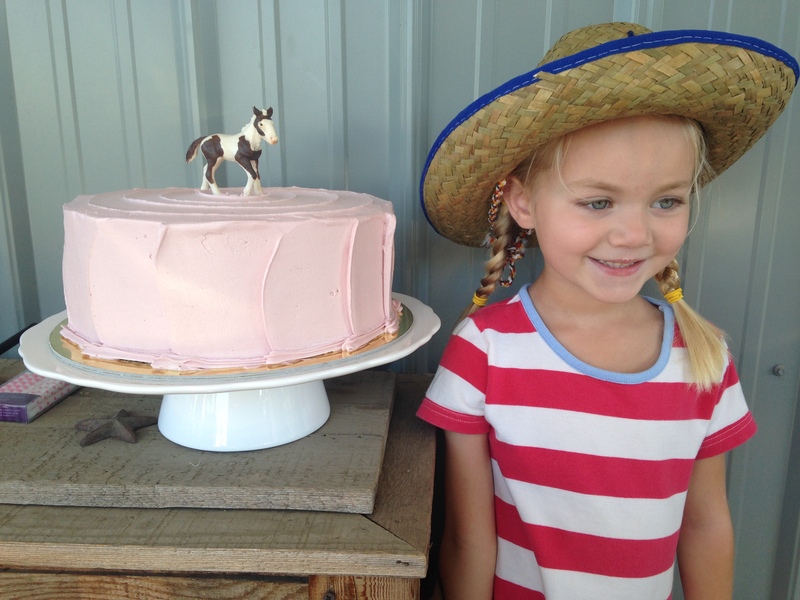 The first cake with the adorable young cowgirl delighted everyone keeping the focus on the pony theme simple and classy. 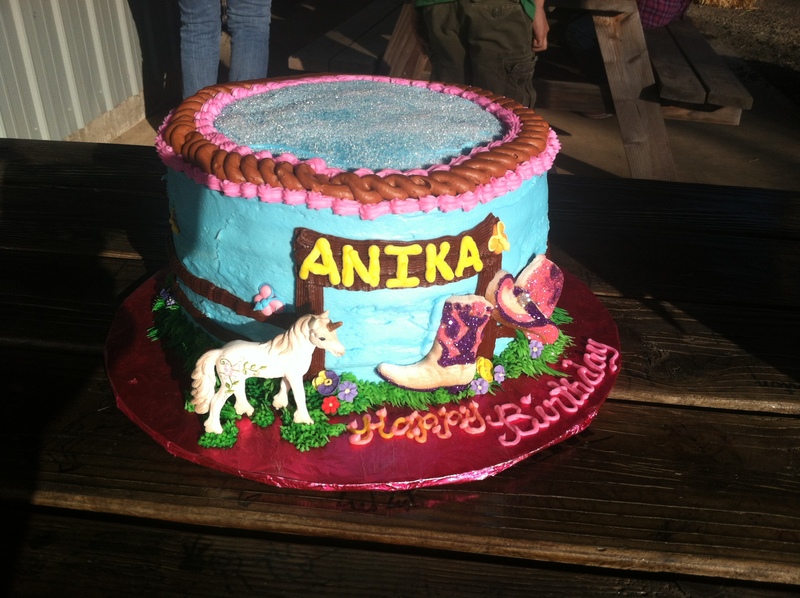 The cake with the cowboy hat at the top was nearly 2 feet tall! 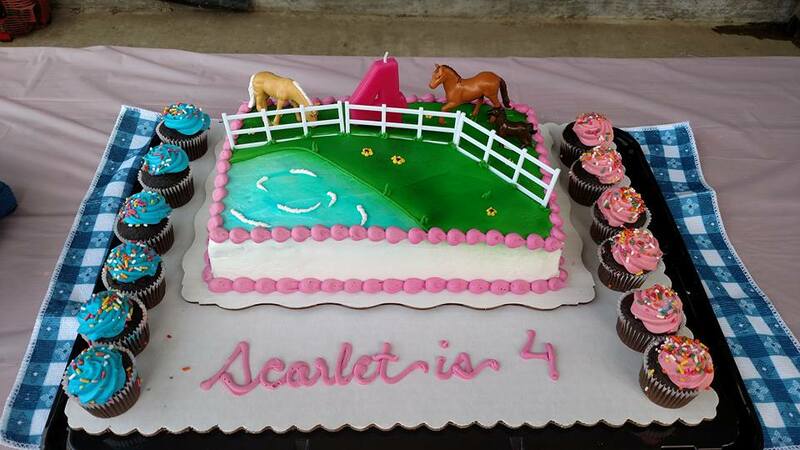 Good thing they had a giant group for that event to help eat it. 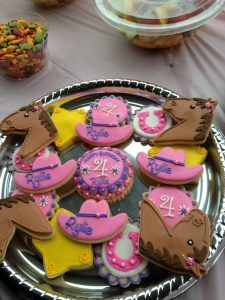 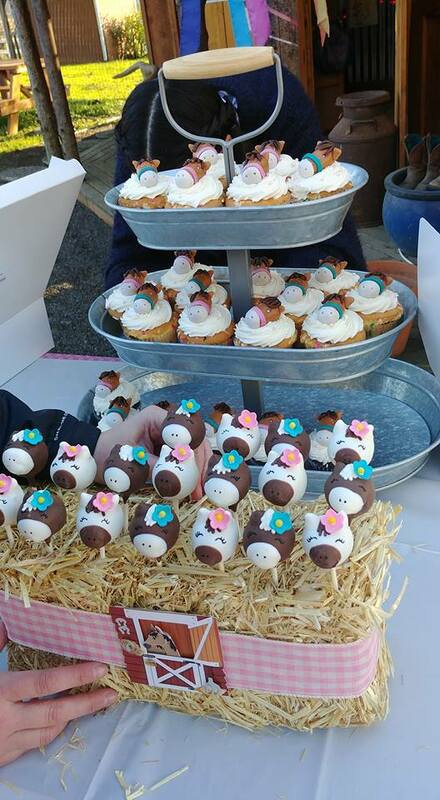 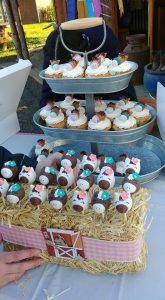 Other popular options have been cake pops and decorated cookies. 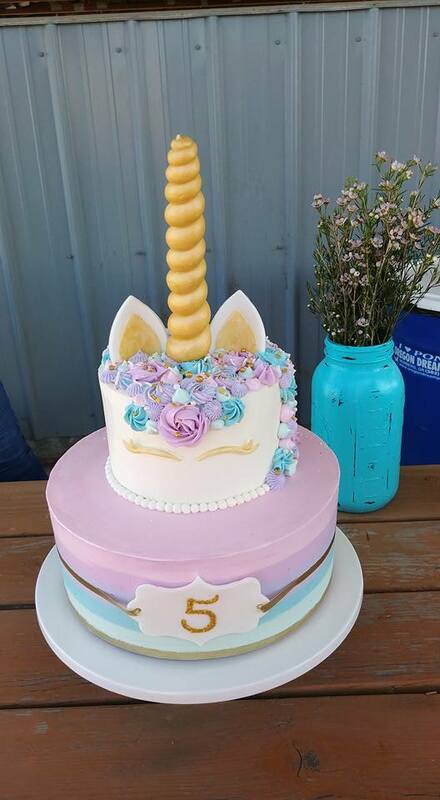 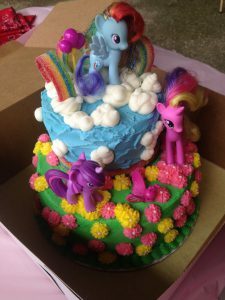 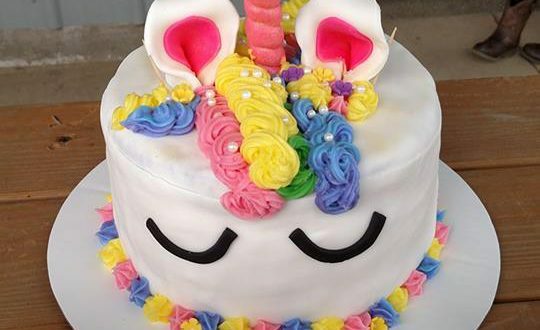 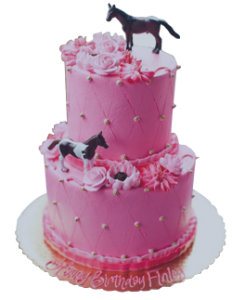 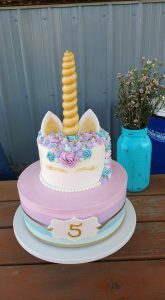 Unicorns have been popular this past year seeming to overtake The My Little Pony themed cakes.